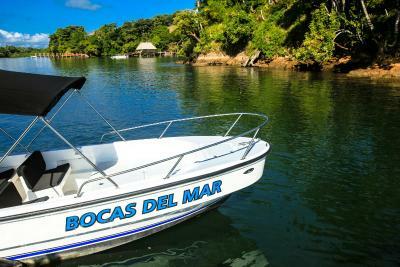 Lock in a great price for Bocas del Mar – rated 9.5 by recent guests! Boat excursions were great for a family with kids. Bird watching tour benefited from having some professional birders on tour who kindly introduced our kids to birding. The snorkeling, private beach and dolphin tour we did twice. Recommend parida reef if given the option. The guide went out of his way while snorkeling to help kids and point out amazing fish. The calmness and peacefulness of the property, even if you have kids, was marking. 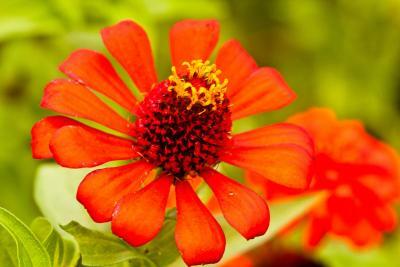 Management of property is top notch and very accommodating to meet our needs. We will look to come back to see the whales. Finally weather end of March was excellent. Fabulous property and service! Enjoyed the privacy of our casita with hot tub! Great pools and restaurant! 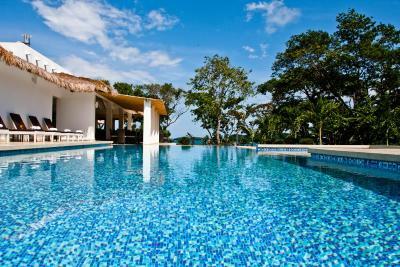 Excellent attention from the staff, AMAZING rooms and the property is beautiful. After seeing other hotels in the area, this was by far the most modern and with the most amenities. Everything is top notch. The couple who manage the hotel are welcoming and helpful. They make you feel like family. The resort is absolutely stunning. The grounds are impeccable as are the rooms. The restaurant is fantastic. The food is reasonably priced. The presentation and quality are both great. 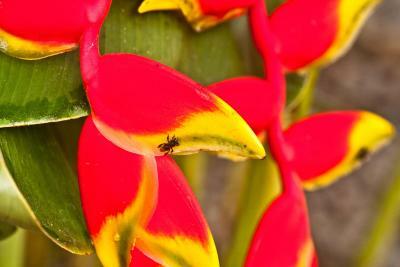 There are a number of excursions available to the guests. It was a great little resort. Staff was tremendous. So relaxing during our stay and plenty of activities to take part in. Was a great experience. 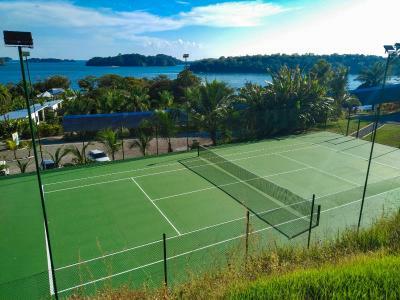 It is an amazing facility surrounded by perfectly manicured gardens, amazing views. Very well run operation. The food and drinks are top notch!! 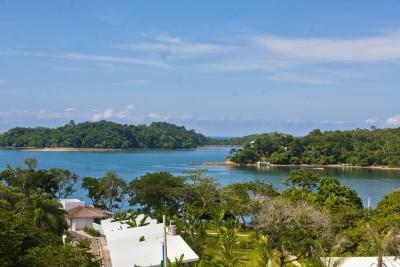 Hotel Bocas Del Mar is a jewel in the middle of Panama’s amazing and espectacular flora and fauna. 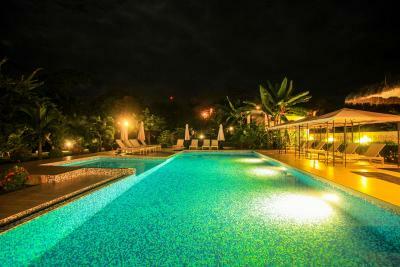 Pool, atmosphere and personal attention from management and staff. Very private and reasonably priced ocean activities. We liked the pools, our unit, the restaurant was very good. 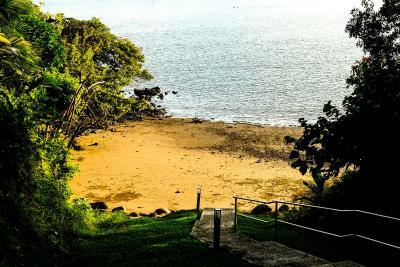 The hotel is situated on a cliff above the bay and that provided a beautiful setting. The bed was like a cloud!! !, the rooms are big and comfortable, the views from the bedroom was amazing and having the jacuzzi in our the room the view was also epic! 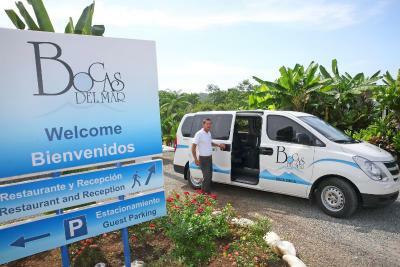 Bocas del Mar This rating is a reflection of how the property compares to the industry standard when it comes to price, facilities and services available. It's based on a self-evaluation by the property. Use this rating to help choose your stay! Located right on the water's edge in Boca Chica, this boutique hotel offers 2 outdoor pools, free daily breakfast and stylish bungalows, set in tropical gardens. The city of David is just a 45-minute drive away. 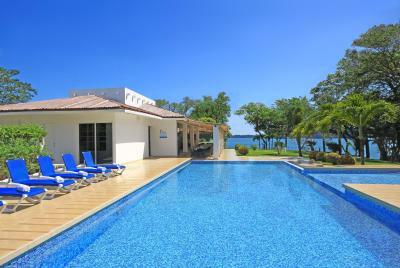 Bocas del Mar’s bright air-conditioned bungalows have private terraces, directly overlooking the sea. Each one has a seating area, mini-bar and free Wi-Fi. Bathrooms include a bathtub with fantastic views. 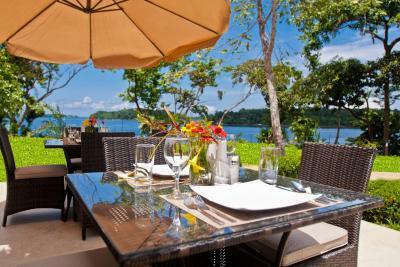 Bocas del Mar has an à la carte restaurant and a bar. 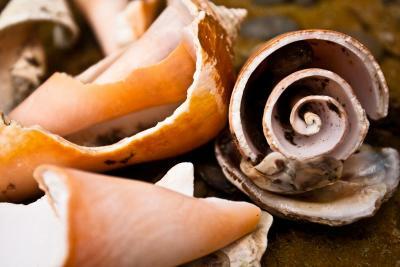 Reception includes a tour desk where you can book activities, including snorkeling, canoeing trips and beach excursions. 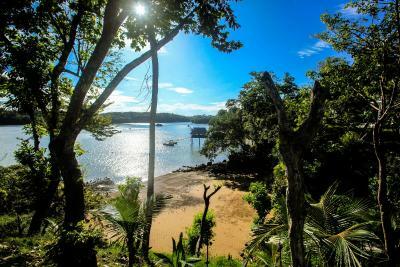 Boca Brava Island is a few minutes away by boat, while the Chiriquí Gulf Marine National Park is a 20-minute boat ride away. David Airport is a 50-minute drive away. Free parking is available on site. 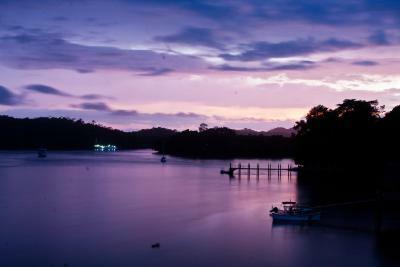 When would you like to stay at Bocas del Mar? 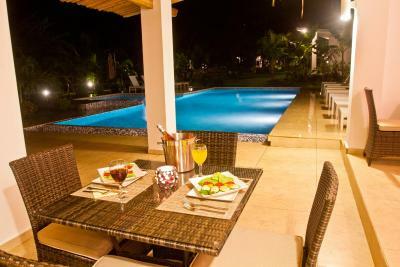 Set in tropical gardens, this bright air-conditioned bungalow has a furnished terrace with fantastic sea and garden views. It has a seating area, mini-bar and free Wi-Fi. 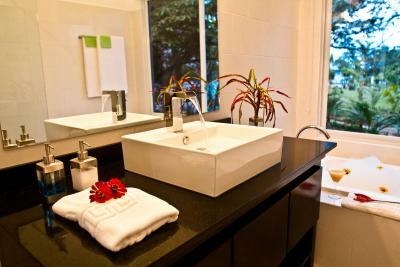 The bathroom includes a bathtub with great views, a hairdryer and toiletries. 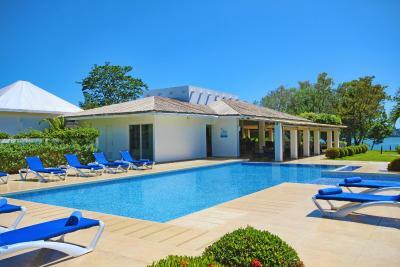 Set in a secluded area of the tropical gardens, this very spacious and bright air-conditioned bungalow has a furnished terrace with a private hot tub and fantastic views of the ocean and islands. 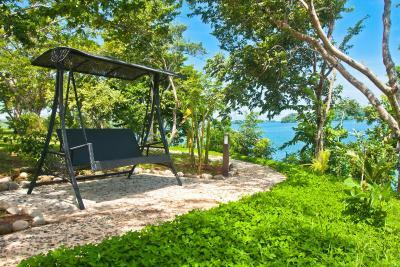 It has a seating area, mini-bar and free Wi-Fi. 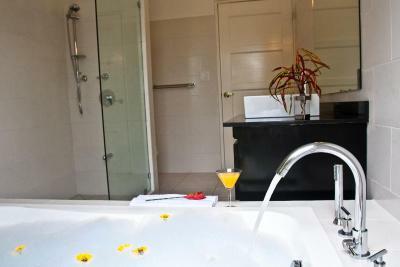 The bathroom includes a bathtub with great views, a hairdryer and toiletries. 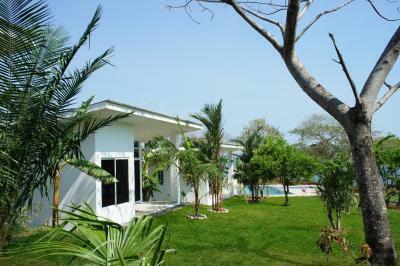 This bungalow offers sea views, a large, shared bathroom with separate shower and bathtub. One room has one king-size bed and 1 separate room with bunk beds. Please note that the rate is base on 2 adults and up to 2 children under 14 years old. No extra guests can be accommodated in this room type. Bunk bed is suitable for children up to 14 or smaller adults only. This 2-story suite offers amazing views and a large bathroom with bath and separate shower. 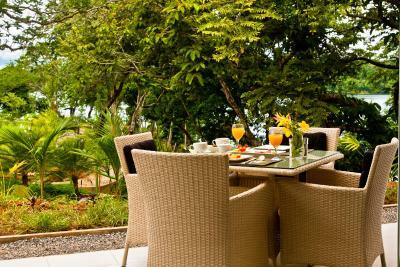 The second floor has a seating area and furnished balcony with sea and forest views. 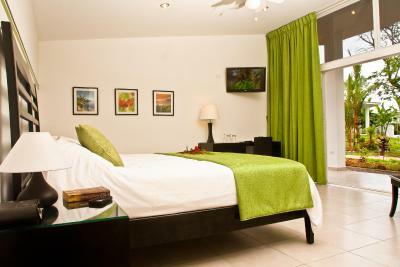 The first floor has a large bedroom with a king bed and views, and there is also a small bedroom with a single bed. 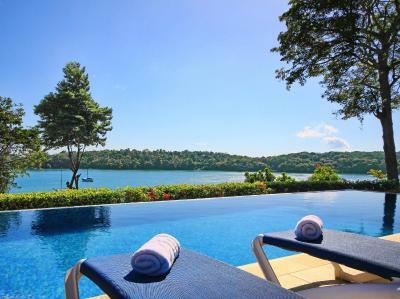 Located a 2-minute walk uphill from the main hotel building, this independent holiday home offers private parking and panoramic views. There is a spacious living room, full kitchen, a master bedroom with a king-size bed and a separate dressing room with bunk beds, suitable for 2 extra people. Please note that there is a 2-minute walk downhill along a paved drive to access hotel facilities. Breakfast is included in the rate as is daily housekeeping. This unit has 2 interconnecting rooms featuring a private entrance, satellite TV and tile/marble floor. 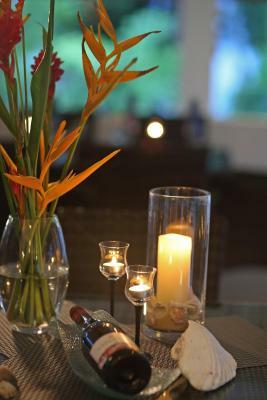 House Rules Bocas del Mar takes special requests – add in the next step! 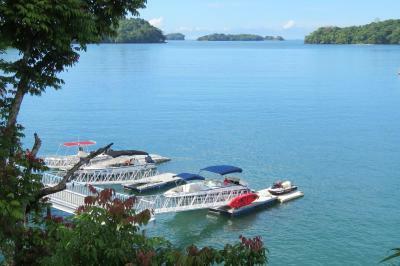 Bocas del Mar accepts these cards and reserves the right to temporarily hold an amount prior to arrival. Please note interconnected rooms may be available upon request. Please contact the property for more information. Please note that children as from 4 years old count as adults for the occupancy in rate rooms. Super friendly staff and very nice location with a view on the bay. restaurant on the pricey side. value for money could be better as food is rather mediocre and portions are small. 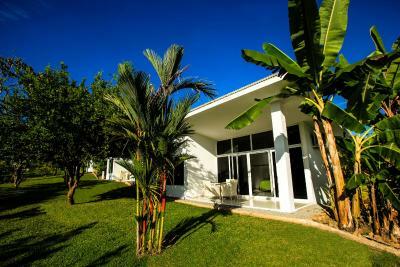 very well kept resort with beautiful gardens, two pools and a boccia field. 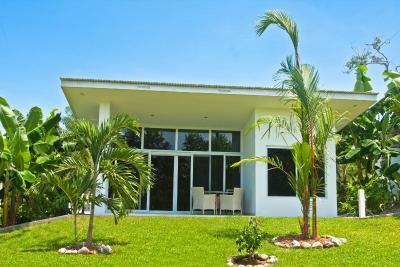 the very spacious villas facing the garden have a bathtub and shower. Restaurant had great food, especially fresh fish, but service does not always get requests right. You may find yourself asking a few times for things. Some further training would go a long way. Menu was constant, would have a daily option variety for fresh seafood. 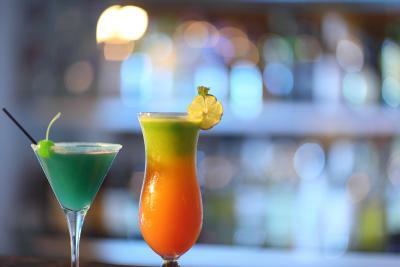 There is a daily drink 🍹. Ohhhhh so wonderful! 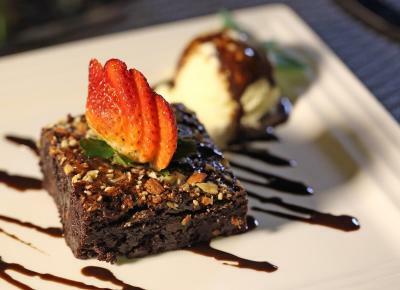 Amazing ocean views, gracious staff, amazing food and service! Wiifi wasn't good inside the room, had to sit outside to get a connection. The room interior was a tad dated, a little scandi makeover would make a huge difference, everything else was perfect. The staff were amazing, felt like you received good old fashioned, attentive but genuine customer service. 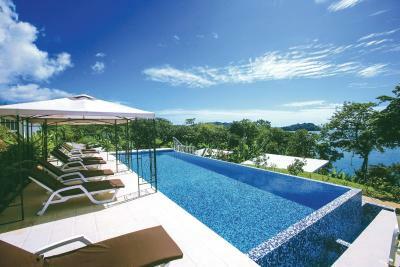 Infinity pool was lovely, and views out to the islands was beautiful. Strange construction of the tap in the bathroom makes floor wet and very slippery. There is no beach nearby. Have to drive or take boat taxi for extra costs. 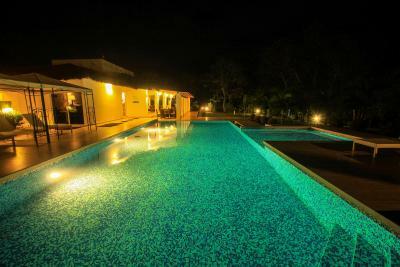 Spacious bungalow, very friendly staff, very good swimming pools, beautiful and well maintained garden and also very safe for small kids. My kid is already asking when we go back. Kids are really loved in this resort. There was absolutely nothing to complain! Nothing the whole experience was great! We had a wonderful stay the staff were so friendly and welcoming, we really enjoyed our stay in such a lovely hotel with beautiful surroundings such a relaxing time. There were more things to see and do then what was initially shared. So a more comprehensive intro would have been great. 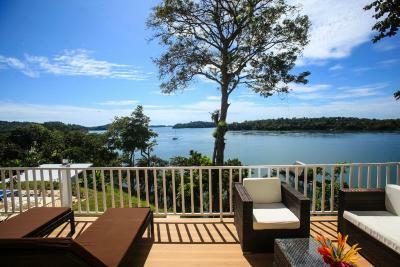 Great rooms, views, personnel and activities. 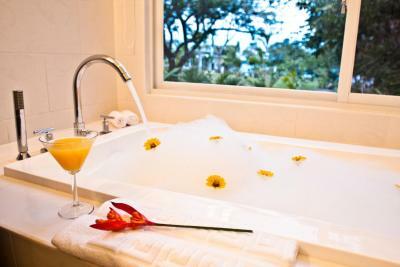 Spacious room, privacy glass, friendliness of the staff. A must go!!! 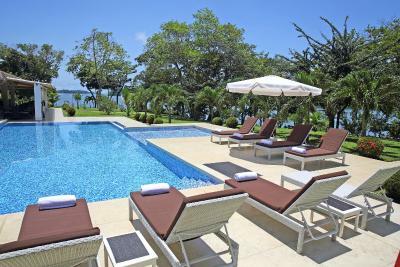 Hotel Bocas del Mar is perfectly situated at a shore of an incredibly beautiful and very quiet bay in the Golfo de Chiriqui. 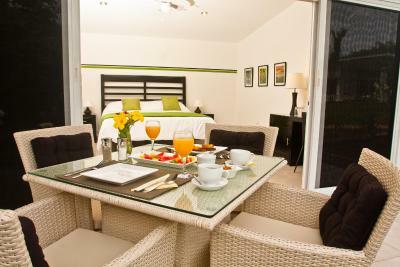 It has modern, spacious, very comfortable and very clean rooms with a stunning view (we had bungalow no. 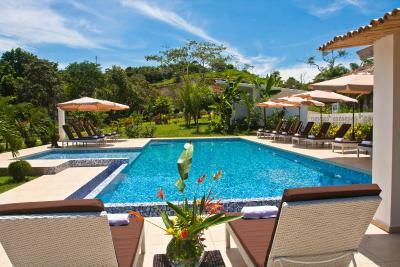 2) in lovely grounds with two great swimming pools. 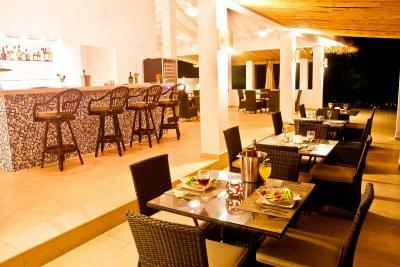 The restaurant is nice, serves delicious food and offers great specials of the day, all for a fair price. 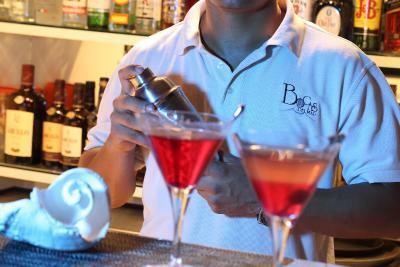 The staff is very attentive and friendly. We did the discovery boat tour with whale-watching, snorkelling and swimming at a remote beach (we saw humpback whales, dolphins, sea turtles, many birds...). Highly recommended! 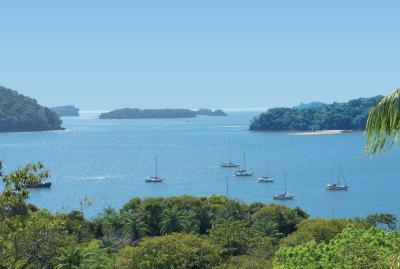 We also rented a sea kayak and discovered the islands in the bay on our own. The team gave very helpful instructions, also for the onward travel to Boquete. For us it was a wonderful stay at a perfect place! Thank you! I had planned a trip for my boyfriend and I to celebrate our Anniversary and they completely exceeded my expectations! 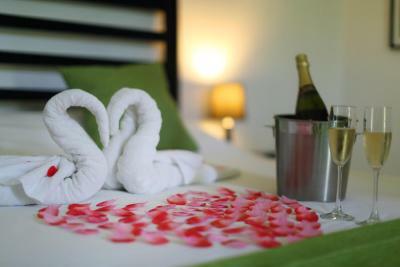 The sweet receptionist, Odalys went above and beyond to make our stay super romantic and comfortable! 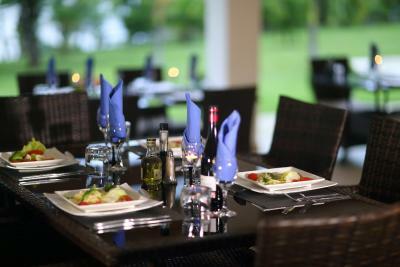 The food was great, the facilities SUPER clean and the staff was helpful and caring. We love the location and all of the available activities that are provided. 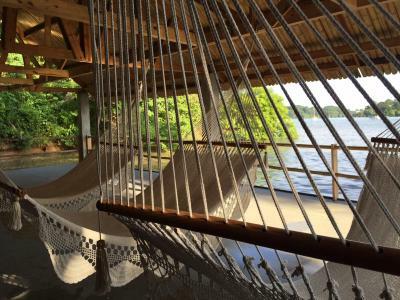 Our favorite is to kayak in the bay and leisurely relax on the beaches! We cant wait to return!